The first clue should have been the fruit. 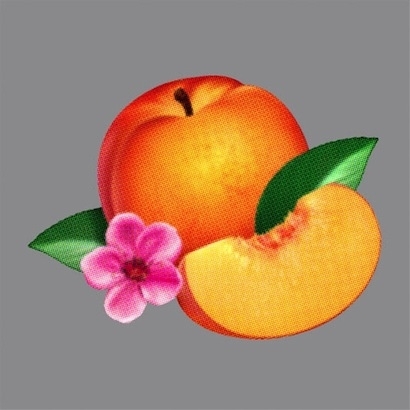 Thomas Mars and Laurent Brancowitz, one half of indie rock band Phoenix, chose Bankrupt!’s vibrant, oddly generic cover image after significant deliberation, admitting they thought it fit perfectly with the album’s decadent title. For a pop group, the French foursome are extraordinarily particular, striving for symbolism in minute creative details and rarely arriving at artistic decisions by anything other than total consensus. Recording an album of ten songs (averaging just under four minutes a piece) usually takes the Versailles natives about three or four years — an eternity when you consider how fast buzz builds and fades in the internet age. Apparently, it takes a lot of work to sound this effortless. In 2009, singles “1901” and “Litsztomania” were so sublime, they almost made people overlook the rest of the Francophiles’ excellent breakthrough album Wolfgang Amadeus Phoenix. Its fiendishly catchy predecessor, It’s Never Been Like That, is quite frankly one of the most underrated albums of the last decade. Phoenix’s best work feels both edgy and immaculate, the perfect concoction of wiry garage rock and delicious indie electronica that attracts and satiates in a way only the smartest pop music can. It’s probably this reputation for quality control that makes the start-to-finish mediocrity of their fifth album so startling. In many ways, Bankrupt! feels like a quintessential Phoenix record, with bubbly choruses, fashionable musicianship, and Thomas Mars’ adorably quirky translation of broken English into elongated yelps. However, some crucial elements are missing, namely attention-grabbing song structures, adequate sonic spacing, and most importantly, memorable hooks. As a strangely delighted Brancowitz admitted, the fake marmalade product art on the cover of Bankrupt! appealed to the band’s sensibilities because it felt “under the level of art. A beauty with no artistic purpose. Fascinating!” Audiences might feel otherwise. Both Bankrupt!’s cover and its music possess a deflating blandness, perhaps a sign that the dysphoric pressures of becoming a one of the world’s biggest indie bands are wearing on the quartet. Regrettably, Phoenix almost sounds like they’re impersonating themselves here, minus the benefit of great songs and their usual impeccable taste. 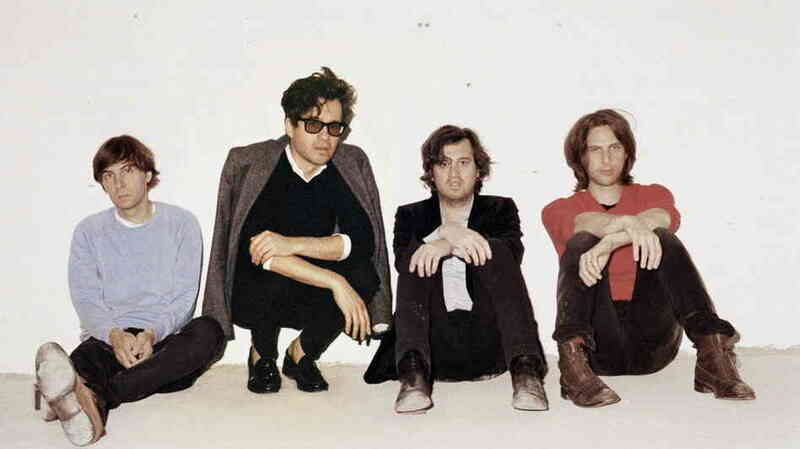 Phoenix has a knack for releasing its best songs as singles (going all the way back to United’s “Too Young” and “If I Ever Feel Better”) so when lead track “Entertainment” falls flat out of the gate, you get the sense there might be trouble. The song is a microcosm for everything that’s amiss with Bankrupt! — it’s neither poorly performed nor offensively bad, but nothing really feels extraordinary about it either. The joyous dance floor bounce that Phoenix is known for feels almost forced and claustrophobic here, like the synth riff’s hopped up on too much caffeine. At least the fidgety melody is one you can actually remember — the rest of the Bankrupt! blends into one white-washed mass of keyboards and bright chords that makes it hard to tell one track from another. “Entertainment” would be a decent deep cut on other Phoenix albums, but its placement here as lead single is immediate cause for concern. Phoenix are masters of the traditional verse-chorus format, but it’s the connective tissue they build between them that makes their songs so exceptional. Their catalog is filled with ingenious tempo changes and structural variations to accentuate choruses and hooks; the way “1901’s” opening synth barrages are augmented by the downbeat of the late-arriving drums, how the guitars on “Napoleon Says” accentuate its four-on-floor beat then switch to a swaying melodic counterpoint, the ease with which “Consolation Prizes” accelerates from staccato strums and hand claps into a full blown Strokesian jangle, with a five second percussion-less bridge thrown in for show. On Bankrupt!, there’s almost no mid-song rhythmic deviations; the insipid “Trying to Be Cool” feels stuck in low gear, mid-tempo numbers “Drakkar Noir” and “Chloroform” never break from their robotic cadence, and “Don’t” hurtles along over a menacing, industrial synth riff but never pauses to catch its breath and create significant tension. Even the title track, an extended, prog-synth instrumental followed by a few lyrics sung over an acoustic coda, adheres to a template Phoenix already established (unconvincingly at best) with both parts of “Love Like a Sunset” from Wolfgang. Most damning is the way Bankrupt!’s overblown mixing and mastering makes it sound like a casualty of the loudness wars. Part of Phoenix’s brilliance has always been in allowing their instruments to stand on their own (check out the fantastic negative space on “Lisztomania” and “Lasso”) and crafting melodies around the gaps. The twin guitar attack on It’s Never Been Like That worked so incredibly well not because it built a wall of sound, but because you could actually feel the separation between Laurent Brancowitz’s and Christian Mazzalai’s axes, and the tension that void created. But with Bankrupt!, every sonic nook and cranny is jammed with digitized clutter, casting a gauzy processed sheen of irritating treble over the entire album. “Bourgeois” and “Oblique City” suffer especially, their climaxes clipped and melodies buried under a tidal wave of over-equalized synths and compressed audio*. It’s unfortunate that even when a song like “Trying to Be Cool” offers sufficient aural spacing, it’s hook barely leaves an imprint on your brain. This paradox seems to define Bankrupt! ; the songs you want to remember are crowded beyond caring, while the spacious ones are best left forgotten. Bankrupt!’s vapidity and sonic sameness makes you realize how truly difficult it must have been for Phoenix to have made things sound so easy until now. To date, they’ve seemed more comfortable in their role as the little band that could, their catchy, immediate pop songs cultivated for headphones, hipster bars, and house parties. Bankrupt’s tracks sound engineered to fill huge arenas and big outdoor spaces, and that they will, given Phoenix’s headliner status on the summer festival circuit stretching from Coachella to Lollapalooza. But as pleasant as Bankrupt might sound in those settings, there’s something disappointing about these recorded versions. According to Brancowitz, several songs feature sampled harpsichords instead of the real thing because the band believed “the sound of harpsichords being processed and losing some kind of authenticity was better than the real sound of it. So we sampled every note. It sounded right in the end.” There’s a nondescript, vacant quality to this kind of ear candy (and thinking) that leaves you wanting — like the feeling you get when you start substituting clip art for pop art, preferring fake harpsichords over real ones, or tricking your taste buds into watering over a juicy piece of shiny, plastic fruit. Come Together (The Beatles): Very little compression, much more headroom, and higher variations between the quiet and loud parts of the song. Long Distance Call (Phoenix): Highly compressed as most of today’s modern music is, but still some breathing room. Excellent article. I think you’ve hit the nail on the head about the transition to stadium. I think that despite its weaknesses, it would be a gorgeous listen and a grower without the horrible over-compressed mastering. This is not the album they were working on for 3 years. You can tell from the times when a stunted instrumental stab that was meant to be loud causes the vocal to dip. i can imagine why they went with the over-compression with the anthemic qualities of MGMT in mind. That band got away with lots of distortion and compression on their best tracks but it wasn’t really the same kind of music. MGMT like to have a pallette of big, bold, and widely contrasting aural colours where Phoenix have always been great at working in a more disciplined self imposed range. There’s a growing evidence base to suggest that records with small dynamic range don’t get repeat listens and are may be forgotten a few years later even though they were massive hits at the time. Apparently many of the biggest albums from the 70s that continue to sell also have some of the widest dynamic ranges of their contemporaries. I’d pay to hear this remastered properly. I can imagine there are enough like me that it could be viable as a download purchase only. Thanks Adam. I appreciate the feedback! I’m sad to report that the new Junip (self-titled) album suffers from a similar distorted sound quality. I’m guessing this is a new wave in production style? I can’t believe Junip would create such noise if it wasn’t intentional. This mastering practice has become especially prevalent in pop music in the last 15 years, but it’s begun to trickle into every genre. It was designed as a way to boost volume levels so songs would “stand out” on the radio, or other public settings like a jukebox. But the side-effects can be dreadful — everything sounds terribly crowded, like the song is IN ALL CAPS ALL THE TIME. And as Miles Davis said: “Music exists in the space between the notes.” Unless, of course, there is none. Oh I’m well-familiar with over-compression. It’s been annoying me for years. But now I suspect it’s becoming a “style” now, which is worrisome to say the least. I mean, Junip?!? They’re hardly trying to win the loudness wars. Nice site, by the way! I enjoy the reviews. How ironic considering the artwork. 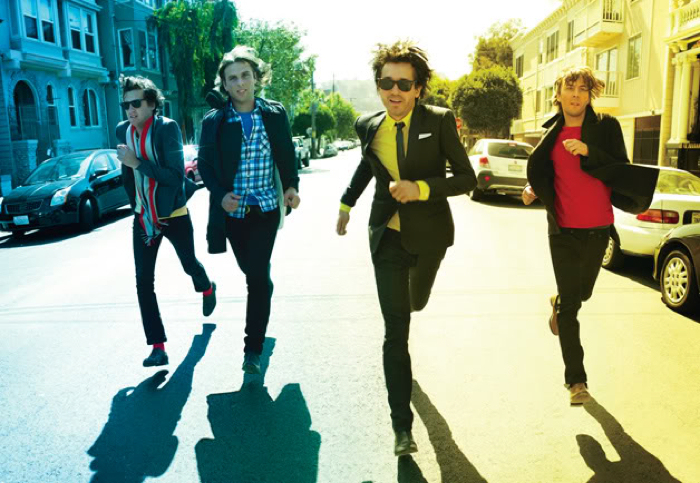 This entry was posted on April 22, 2013 by Jeff Goodwin in Phoenix, Reviews and tagged Bankrupt!, Entertainment, Laurent Brancowitz, Phoenix, Thomas Mars.